Looking for LOW PRICES on USED Auto Parts? 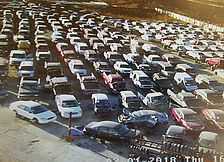 Here at CC Recycling in Cedar Rapids, we have HUNDREDS of salvage vehicles to fit your auto & body part needs. Not sure how to aquire the parts or don't have the tools to do so?! No problem. We can do the work for you. If you need a vehicle lifted up, please let someone in the office know & we will have someone lift it up for you. Our primary concern at CC Recycling is for the safety of our customer's safety. Our used auto parts and auto salvage is very popular with our customers, so we would like to continue to offer our customers the option to pull your own parts, so please be safe while in our yard and ask us if you need any assistance! Also, any extra safety gear that you wish to bring and use in our yard is always welcomed! While we will do everything we can to help you get the part you need, we are not mechanics, therefore we cannot diagnose issues you may be having with your vehicle. If you know what part you need, we can certainly help check to see what vehicles we have in the yard that may work for you. Please ask if you have any questions! If you, or we, pull a part and it is defective, we will gladly exchange the part as long as you are within 30 days of the purchase date and have your receipt with you. If you pull the wrong part, or end up not needing a part we will ONLY give you Yard Credit to use at a later date (as long as you are within 30 days & have your receipt). If we pull the part for you and it is defective, we will be happy to switch it out for you at no additional cost (as long as you are within 30 days & have your receipt). If we pull the part for you and you gave us the wrong information or do not end up needing/wanting it, we will ONLY give you Yard Credit for the part. NO LABOR WILL BE REFUNDED (If you need something else pulled you will be charged labor again)! What if I want to just take a look out in the yard, do I still need to pay the $5.00 yard pass? Yes. The $5.00 yard pass is always required to go into the yard, even if you don't have any tools with you. I have new parts that I don't need, will you buy them? No. Unfortunately we do not buy new or used parts from customers. Yes, if you are looking to pull a part you do need to bring your own tools. We do not supply tools for customers to pull parts. Can you put my tires on? If you purchase the tires from us and you have the rims off your vehicle, we can mount the tires to the rim for an extra $15.00 each. But we cannot put parts on your vehicle or balance tires. Additionally, there is a $5 per tire disposal fee on all tires you leave with us for disposal. Still have questions? 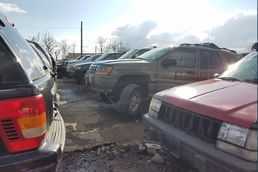 Contact us or give us a call at (319) 365-4248 about pricing for our salvage vehicles and used truck and auto parts! Service Area: Cedar Rapids, Marion, Coralville, North Liberty, Hiawatha, Waterloo, Independence, Evansdale, Solon, Delhi, Mount Vernon and surrounding communities.